2019 Aktion: Spielplatz | Gesundheit und Bildung Gambia e.V. In 2019 the playground in Faraba Sutu will be extended. For the purchase and the construction as well as for the completion there are still resources missing. The playground has not been extended nor been fixed since 2012. We want to change that during this winter. Too many children fight over the two existing swings. That’s why more will follow. The jungle gym is repaired now and we are still looking for weatherproof slides. 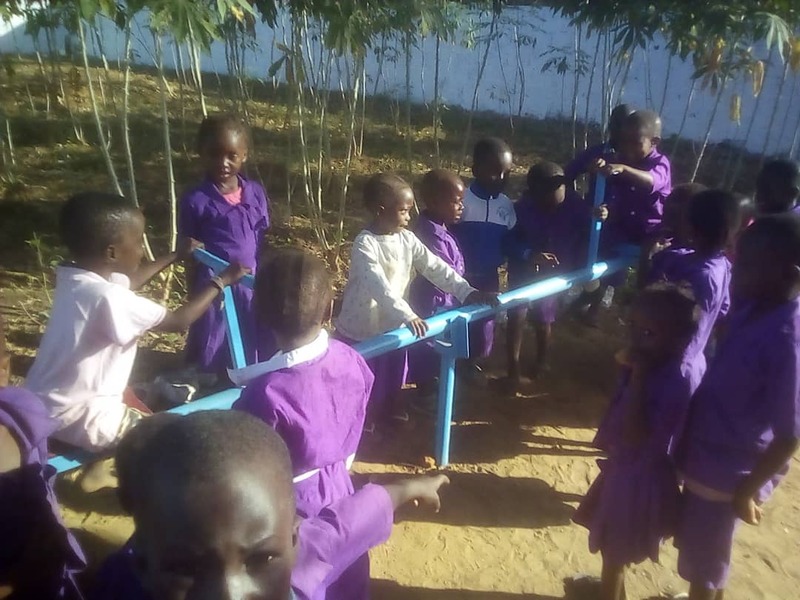 We hope to open the playground in the Gambia in 2019 and to bring some joy and change into the life of many children. Members will receive their donation receipt collected by the end of the year. We save postage here as usual. Thank you for understanding. 2019 Spendensammlung - 2019 Veranstaltungstipp ab 03.02.